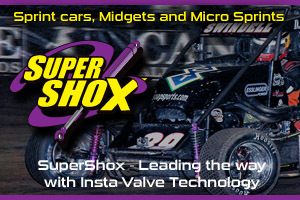 USAC Southwest Sprint Cars “Freedom Tour” This Week! Lonnie Wheatley, TULSA, Okla. (August 13, 2018) – The time is here! Sprint Car racing fans throughout Arkansas, Oklahoma and Kansas will get their best 2018 dose of “traditional” non-wing Sprint Car racing action with this week’s Sixth Annual USAC Southwest Sprint Cars “Freedom Tour”. The four-race mini-series takes place over the course of four nights beginning on Wednesday night at Little Rock’s I-30 Speedway before moving on to Sapulpa, Oklahoma’s Creek County Speedway on Thursday night and then culminating with two big nights at Park City, Kansas’ 81 Speedway near Wichita on Friday and Saturday. Plenty of prize money is up for grabs as well with a $2,500 winner’s share hanging in the balance over all four nights along with $250-to-start for each feature event. 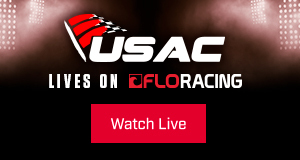 Current USAC Southwest Sprint Car points leader Charles Davis, Jr., of Buckeye, AZ, leads the southwest contingent that includes the likes of Mike Martin, Dennis Gile, Stevie Sussex, Shon Deskins, Chris Bonneau, Matt Lundy and Bobby Seals among others. 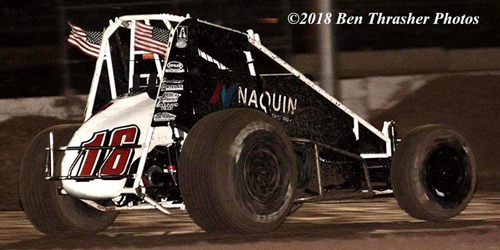 Best known as “Chargin’ Charles”, Charles Davis, Jr., topped last year’s opening leg at I-30 Speedway before parking it once again at the 81 Speedway beer garden in the Saturday night finale to run his career “Freedom Tour” win total to four triumphs. The southwest forces will face a stout crop of local contenders at each stop with Tim Crawley leading the I-30 Speedway charge on Wednesday night after a strong runner-up finish in last year’s event. Sapulpa’s Blake Hahn defended his home turf at Creek County Speedway for the second time in three years last August while Wichita’s Jeremy Campbell sheds his wings to defend his preferred 81 Speedway clay. Others expected to take on the travelers over at least portions of the week include Sapulpa’s Danny Smith, Andrew Deal, Jonathan Beason, Kyle Clark, Forrest Sutherland, Michelle Decker, Tim Kent, Casey Wills, Anthony Nicholson, David Stephenson and more. Wednesday, August 15 – I-30 Speedway (Little Rock, AR), Racing at 7:30 p.m. Tickets are $15 for adults with children 6-12 just $1 when accompanied by an adult. Past Winners: Charles Davis, Jr. (2017). 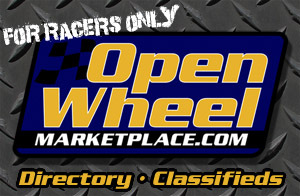 For more information, check online at https://i-30speedway.com/.